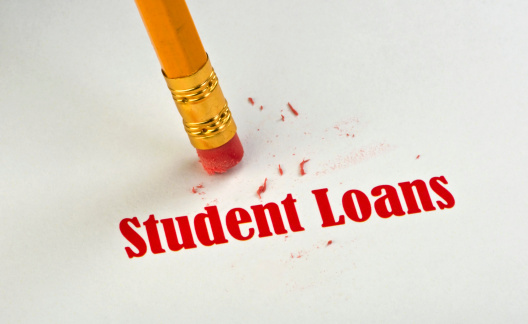 A recent consumer debt report, issued by the New York Federal Reserve Bank on February 18, 2014, indicates that student loan debts are the fastest growing consumer debts. It is also the category of debt with the highest 90-day delinquency rate, with over 11.5 percent of all student loans being in delinquent in the last half of 2013. In January, 2014, a bill was introduced in the House of Representatives that would provide individuals with a Student Loan Bill of Rights. This proposed Bill of Rights would do several things, including improving the servicing standards for federal student loans and making sure that borrowers are aware of federal program such as income-based repayment. It would also remove educational loans from the list of debts that are generally nondischargeable in bankruptcy. Where borrowers are experiencing “partial financial hardship,” the current federal Income-Based Repayment (IRP) plan option for student loans provides struggling borrowers with a way to modify their student loan payment terms. Under this federal program, monthly student loan payments are capped at 15 percent of their income. Payment terms are modified to allow borrowers to pay back their student loans over a 25-year term and any debt remaining at the end of the 25 years is forgiven. There also is a Pay as You Earn option, where monthly payments are as low as 10 percent of disposable income and debts are forgiven after 20 years. These federal programs have disadvantages, including (1) the programs may result in the borrower paying more total interest over the life of the loan; (2) the borrower must provide annual documentation regarding income and family size; and (3) the borrower may have to pay taxes on any amount of the loan that is ultimately forgiven at the end of the repayment term. Deferment and forbearance also may be an option for borrowers who are unable to repay their loans. Under deferment and forbearance, borrowers can sometimes be permitted to temporarily postpone or reduce their student loan payments. As with other loan modifications, these options require lender approval. When borrowers are unable to make satisfactory arrangements under the above programs, they are sometimes able to seek relief under the United States bankruptcy laws. However, student loans are not easy to have forgiven in bankruptcy. Recently, the case of Gesualdi v. Educational Credit Mgmt. Corp. (In re Gesualdi), 2013 Bankr. LEXIS 5546 (Bankr. S.D.. Fla, August 6, 2013) (Hyman, CBJ) looked at the issue of whether a student loan debt was dischargeable. The court found that the individual could not discharge his student loan debt because he could maintain a “minimal standard of living,” even if he was forced to continue to repay his student loan debt. In considering whether the individual could maintain this “minimal standard of living,” the court considered the fact that the individual had alternative repayment options available to him, including loan consolidation. The court also looked at the fact that the individual could eliminate at least one optional monthly expense, including contributing to his wife’s retirement plan. Additionally, the court felt the individual could apply his tax refund to the loan without experiencing undue hardship. The Gesualdi court considered it important that the individual did not show that he had any medical condition that permanently prevented him from working. Other courts across the country that have looked at the issue have also considered issues such as a long history of unemployment and whether the individual had been repaying the loan for a long time prior to incurring the current time of financial hardship. Student loans have a reputation of being very difficult to discharge in a bankruptcy. However, difficult does not mean impossible. Further, it is important to realize that whether an individual is able to discharge student loans in bankruptcy depends on very specific facts. If you are overwhelmed with student loan debt, please contact the Law Offices of Kelley & Fulton, P.A. at 561-491-1200.